For hiking / orienteering etc. 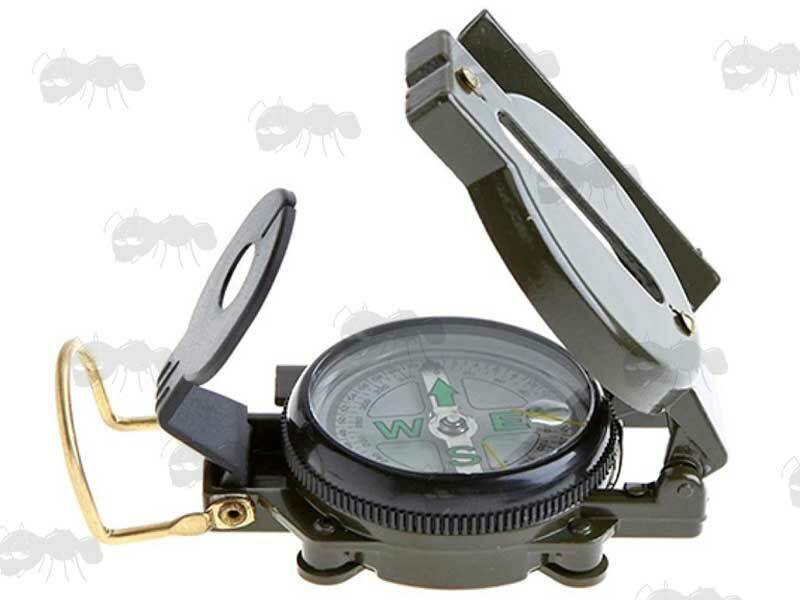 Please note; that compasses can be shook up during shipping, and can take a while to settle down for accurate readings. Thumb hold and magnifying viewer. 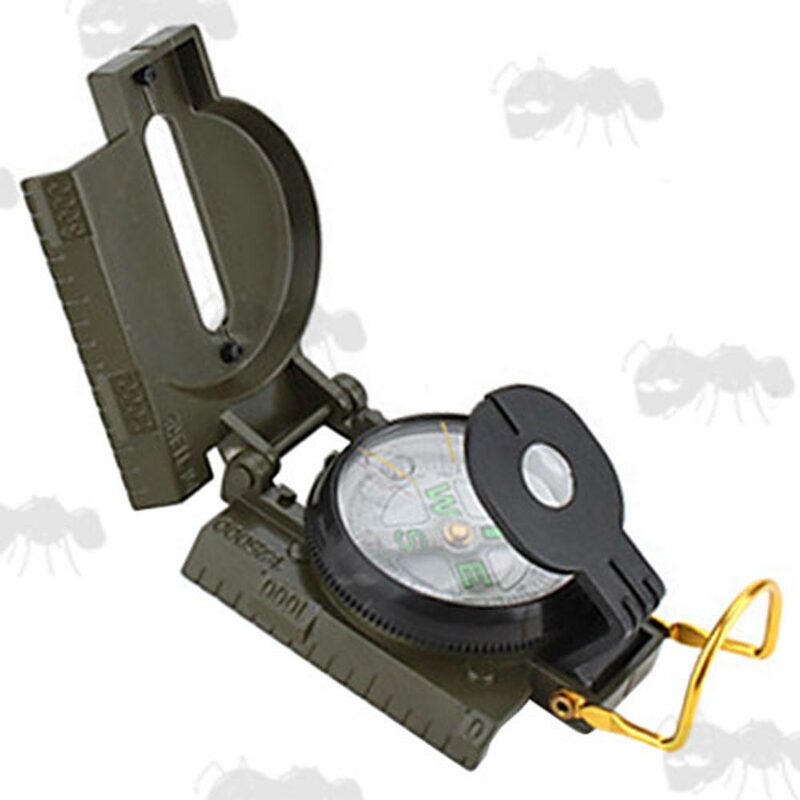 Classic military style compass in olive drab colour. Features a durable aluminium alloy case that withstands bumps on the trail. With 2 degree increments and easy to read dial. Works well in all weather conditions, precision engineered, durable and dependable. Angle can be adjusted freely and fits all dashboard / windshield angles.